How do I get wishbox to display on left upper side of browser window? 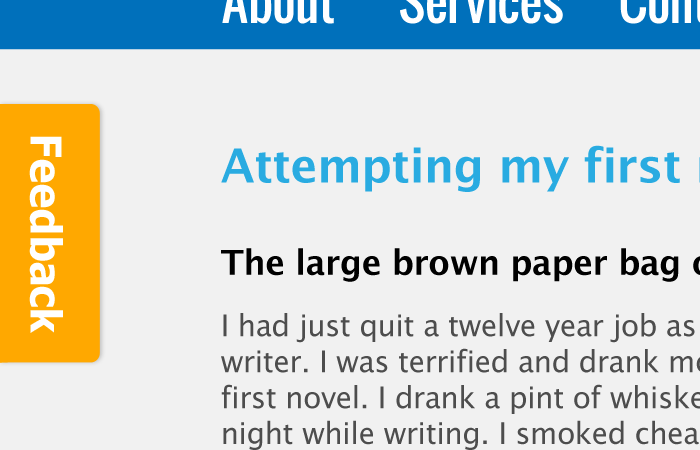 See example image from your wishbox site. Also, how can I have the wishbox not immediately take a screen shot? When it does the screen shot, the elements do not show up as graphics but as floating div boxes. 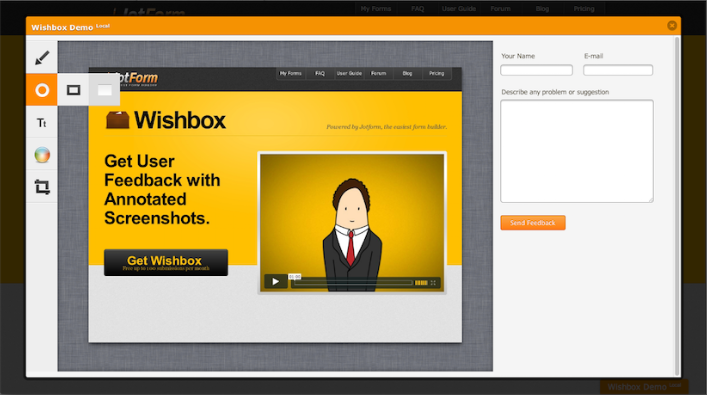 We love the idea of wishbox but would mainly like to use it soley for text feedback and only occasionally graphics. Okay, I found the customize box in the source code and have remedied the placement issue but now I was wondering if it was possible to have the screen shot as an option instead of the first thing that happens when a user clicks on the tab. 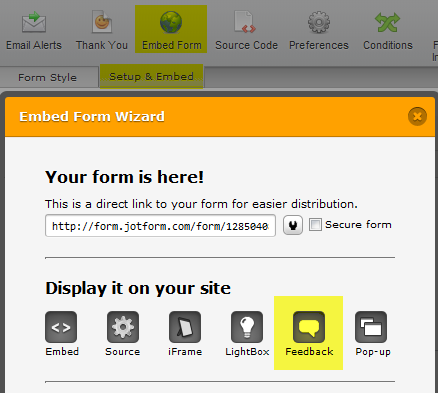 You can use a simple Feedback button if you do not need the Wishbox functionality. However, I have informed our developers about your idea to see if we can have the screenshot as an option for Wishbox. We will update this thread if we get any more information on this. We will release the new version on Friday or early next week.